Where: Mangapari Station, White Rock Rd, Martinborough. Terrain: Approximately 30 kms of track, right out to the back of the station, if the weather allows it. Optional A loops off the main track. 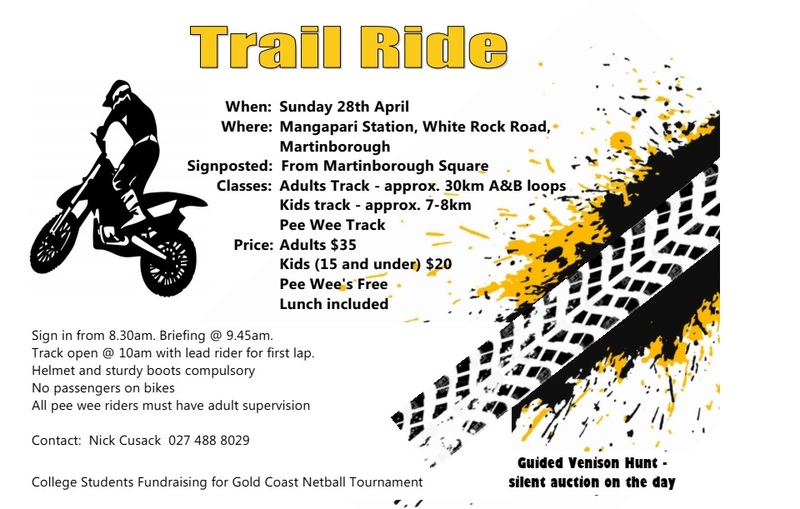 Fundraising for a college netball team traveling to the Gold Coast for a netball tournament.